Newswire #106 – 29th May 2017. A roundup of our announcements from the MCM London Comic Con May 2017 weekend. 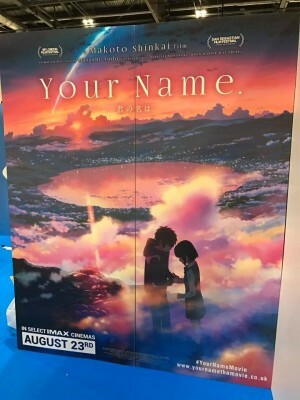 — We kicked off the announcement train on Thursday (25th May) evening on our Facebook and Twitter feeds with the announcement that the movie Your Name would be returning to cinemas this August and this time there would be the opportunity to catch it in select IMAX cinemas too! More details will be coming soon, but the date for you diary is 23rd August 2017. 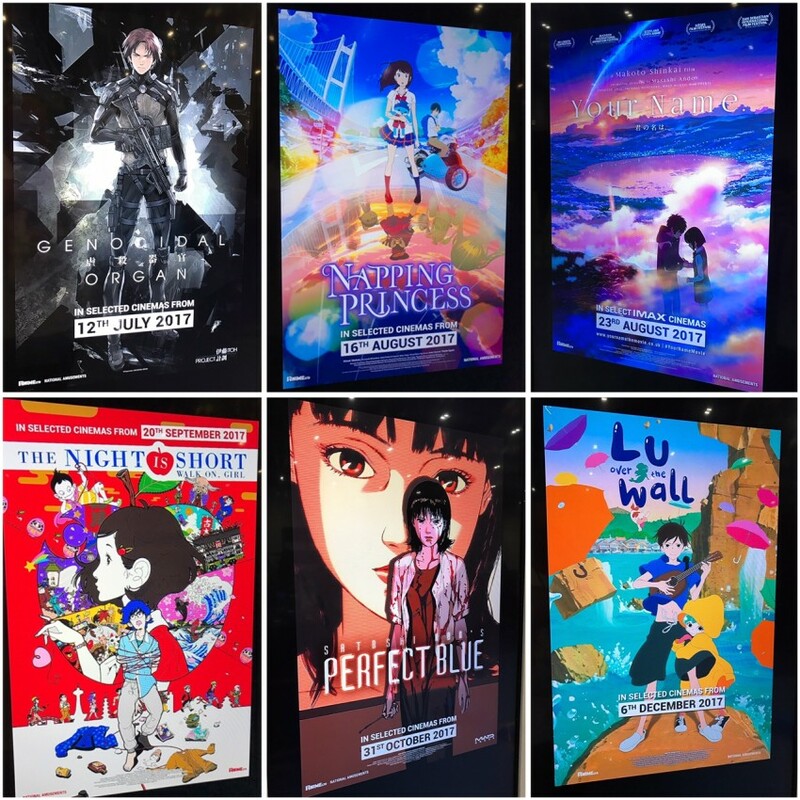 — Following that, the next day (Friday 26th May) we had a panel where we revealed a number of films that will be coming to cinemas throughout the rest of the rest of the year! ~ On 12th July 2017 you’ll be able to see Genocidal Organ in cinemas. Though this is very much a standalone film in its own right, this is part of the Project Itoh range of films; the other films being The Empire of Corpses and Harmony. ~ We’ve previously talked about Napping Princess coming to cinemas this year, but we confirmed that the date you can see it on the big screen is 16th August 2017. For those of you keeping track, this means one week after Napping Princess is in cinemas is when you’ll be able to catch Your Name on the big screen once again. ~ On 20th September 2017 you will be able to see The Night is Short Walk on, Girl, directed by Masaaki Yuasa (Ping Pong The Animation, The Tatami Galaxy) in cinemas. ~ Then in October, specifically on halloween night (31st October) we’re bringing Satoshi Kon’s classic Perfect Blue to cinemas to celebrate the 20th Anniversary of the film. ~ We mentioned Masaaki Yuasa a few moments ago, he has another film out this year, Lu Over The Wall. You’ll be able to see that in cinemas on 6th December 2017. — Then on Sunday (28th May) morning we were back with our second AllTheAnime panel of the weekend where we had a few more announcements to share. ~ The first being that we will be bringing Hyouka to Blu-ray and DVD in the United Kingdom starting with Part 1 during the fourth quarter of this year. More details to follow on this soon. ~ Next up, after originally being released by Beez Entertainment a long time ago now, and subsequently being out-of-print for a long time as well, we are bringing the classic series Wolf’s Rain back to the United Kingdom! It will be the first Blu-ray release of the series here and at this time all we can confirm it will be a Collector’s Edition release; more info to follow soon. ~ And finally, anime is coming back to UK television! There will be a lot more information in the coming weeks – so be sure to keep an eye out for that – but the Viceland television channel on Sky and NOW TV will be showing anime soon! Confirmed titles to be shown on the channel are Eureka Seven, Tokyo Ghoul and Tokyo Ghoul √A. More details, including more titles to be announced, will be forthcoming but that’s all the information we can share about this exciting news at this time. That’s the roundup of announcements from the MCM London Comic Con weekend. We’ll have another newswire later this week for you – all going well elaborating on some details for some of the above – so stay tuned for that.